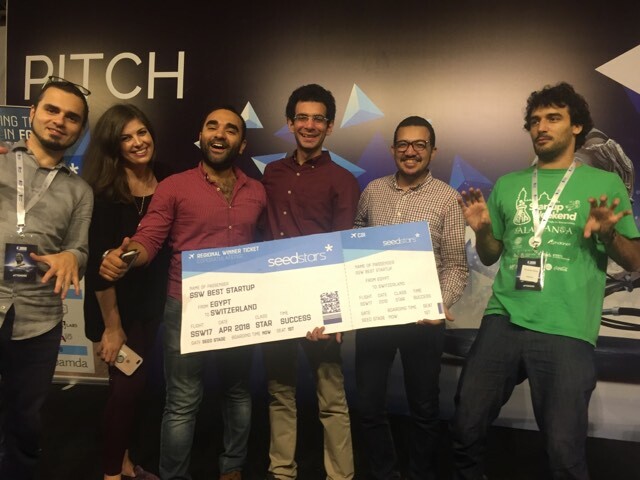 Seedstars World organized their startup competition for Egyptian startups in Alexandria this Saturday. The event was part of Techne Summit, one of the biggest gathering of Egypt’s startup community in Alexandria. Seedstars had received tens of applications but only nine startups were shortlisted to pitch in front of judges at the event. The competition was won by WideBot, a bot building platform that lets people build bots for Facebook Messenger, Telegram, Slack, Kik & Skype without any coding knowledge. The startup claims that anyone using their platform can build a bot in ten minutes. WideBot being the winner of competition will fly to Switzerland to take part in Seedstars Annual Summit 2018, where startups from all around the world will pitch to win upto $1 million in equity investment. The startup will also have a chance to interact with more than 1,000 attendees including investors and mentors from all around the world. WideBot has earlier won different other startup competitions as well, including ArabNet Startup Battle’s Cairo edition, third place at ArabNet Startup Contest Finals, Orange Startup Cup & Demo Africa’s Cairo edition. The startup currently has brands like Americana and Centra using their services. Mermaid, a Cairo-based startup that connects home owners and business with on-demand cleaners was the runner up. InterAct came third for its product Touchizer, a small electronic device that comes with a stylus and converts any ordinary surface (Wall or LCD) to be interactive for an area of upto 100 inches. Earlier this year, WideBot had participated in ArabNet Startup Battle – Cairo Edition, and won first place. Further to their victory, WideBot earned the chance to compete against other startups in ArabNet’s Startup Championship in Dubai. Out of 18 startups, 5 were selected to pitch to a panel of professionals and leaders in the tech and digital industry; WideBot came in third place in the competition and secured with that a spot at FbStart. The jury included A15’s CEO Fadi Antaki, Flat6Labs Cairo’s MD Willie Elamien, Microsoft 4Afrika’s Dr. Ashraf Abdel Wahab, Ahmed Hegazy from Orange, Wessam El Beih from Drosos Foundation and Kamran Samadli from Seedstars.